THESE STUNNING TAGS ARE CREATED USING OUR STATE OF THE ART DIAMOND ENGRAVER AND ARE AVAILABLE IN EIGHT STRIKING COLOUR FINISHES. 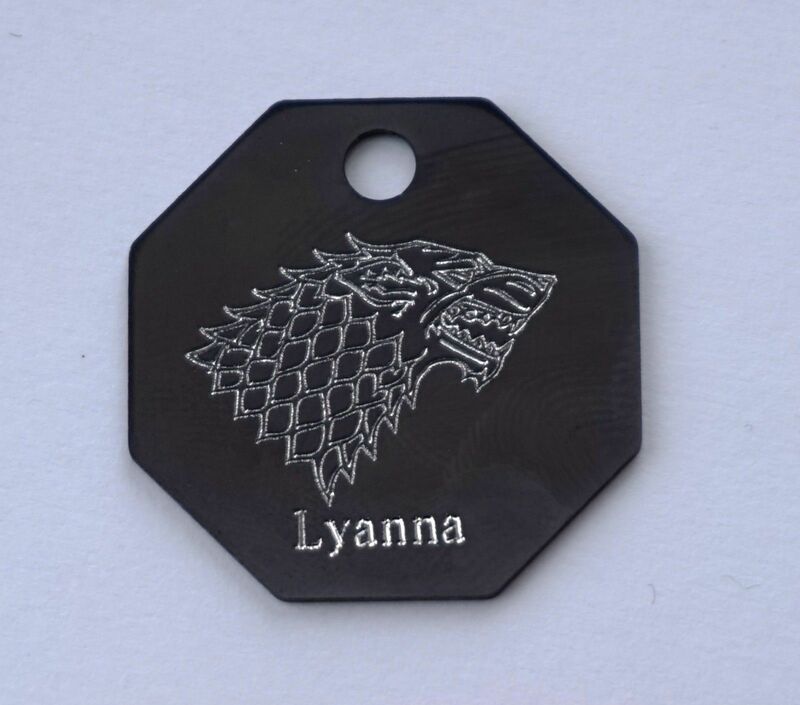 WE CAN PERSONALISE THE TAGS WITH ANY NAME OR WORD UNDER THE STIGIL IMAGE AND WE CAN ADD OTHER CONTACT DETAILS OR A MESSAGE ON THE BACK. SIMPLY SELECT THE SIZE AND FINISH REQUIRED AND MESSAGE US AT THE PAYPAL CHECKOUT OR THROUGH THE EBAY CONTACT SELLER LINK ON THE LISTING PAGE WITH THE NAME REQUIRED AND ENGRAVING FOR THE BACK. 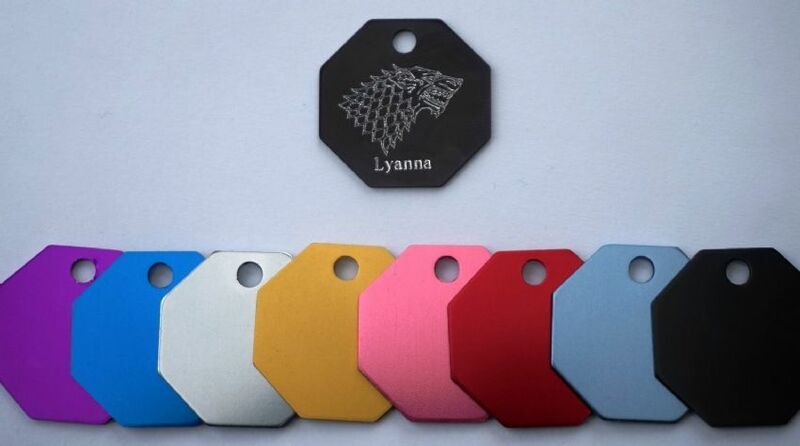 EACH TAG COMES WITH A STRONG SPLIT RING TO ATTACH TO YOUR PET, KEYS, BAG ETC. WE CAN SUPPLY THESE IN 13MM, 16MM AND WE ALSO HAVE LARGER KEY FOB RINGS IF REQURIED - AGAIN IF YOU HAVE PREFERENCE JUST LET US KNOW WHEN YOU MESSAGE WITH YOUR DETAILS.